See all Homes for Sale in the Catalina Foothills north of Tucson AZ. Updated Daily with Pictures, Maps & Community Information. Get to know Laura & Tim Sayers, Realtors . We moved to the Catalina Foothills from Oro Valley in 2006. We were drawn to the Tucson Foothills because of the magnificent Catalina Mountain Views, the 1-story homes on large private lots & the beauty of the pristine natural desert. We bought a classic burnt adobe territorial home on a private 1.3 acre lot with spectacular Catalina Mountain Views. 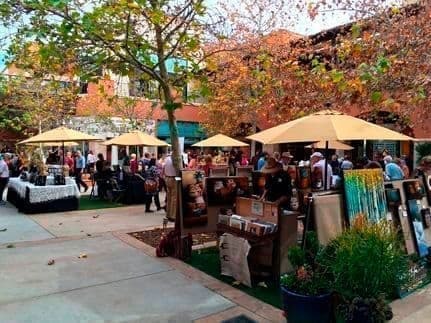 The Foothills is a convenient place to live with fine shopping & dining right in the area and and an easy commute to the Williams Center, Downtown Tucson, and the University of Arizona & Banner UMC. 4. CALL ME - for expert assistance in buying or selling a Catalina Foothills Home. We helped our Clients Purchase this Beautiful Tucson Foothills home in Finisterra for $435,000! This Tucson home was situated in an extremely private setting close to all types of Tucson ammenities like La Encantada, Restaurants and hiking trails. This Home has a fully fenced pool area and a large lot. Call Me Now if you're looking to buy a Catalina Foothills Homes For Sale. We Just Helped Our Clients Find their perfect Home for 21k under list price. Our Expert Team Finds Buyers the Perfect home to Suit their needs while Making the Experience Hastle Free and Enjoyable. Try our Quick and Easy Searches to see Whats On the Market and Call Me Today to Help you start the Process of Finding your Home. 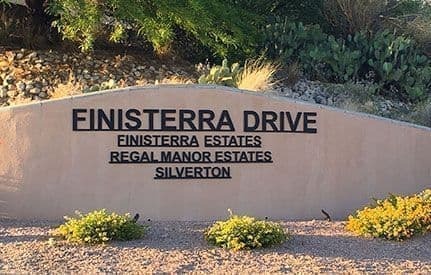 Tucson's Premier Gated Community of Finisterra is nestled along the Coronado National Forest and offers sweeping views of city lights and Catalina Foothills. With prices ranging from the $400s for townhomes to single family homes between $800k to $2 million, there are a variety of home options. Call Me Now if you're looking to buy a home in Finisterra or in other Gated Communities in the Catalina Foothills. Our clients were so happy to purchase this Tucson home on N. Sabino Canyon Road for $440,000. They loved the privacy of this peaceful location with Catalina Mountain Views, Fabulous Outdoor Living Space and Refreshing Pool & Spa. Call me today if you'd like to see Homes for Sale in Tucson AZ 85750. Our Clients just bought this gorgeous New Patio Home in Villa Milano at Rancho Sin Vacas for $400,000. This home featured a Gourmet Kitchen with Granite Counters, Stainless Appliances, and Custom Alder Cabinets. There are still several lots with 5 different floorplans available ranging from $377,000 to $602,000. Amenities include Anderson windows and doors, brick paver driveways, Minka light package, concrete design trim and Cedar garage doors. Call Me Now if you'd like to see homes for sale in the Catalina Foothills or in the 85718 Zip Code Area in Tucson AZ. We helped our Clients sell this Beautiful Tucson Foothills home in Finisterra for $907,000! This Tucson home was situated in an extremely private setting on 1.9 acres of pristine Sonoran Desert landscape backing to national forest. 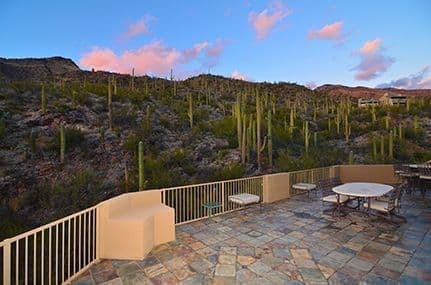 Stunning panoramic Catalina Mountain & city views from inside and out. Call Me Now if you're looking to buy or sell a home in Finisterra or other Gated Communities in the Catalina Foothills. Tim & I enjoyed a wonderful sunset dinner at the historic Hacienda del Sol Guest Ranch Resort located in the Catalina Foothills of Tucson AZ. The Grill restaurant presents old World style décor with innovative cuisine and breathtaking mountain and city views making this a local favorite destination. The Hacienda Del Sol Estates Neighborhood offers 68 Custom Homes sharing the same breathtaking setting and views as the Hacienda Del Sol Resort. Call me now if you would like to see homes for sale in Hacienda Del Sol Estates. Our Clients loved their new Private Home in La Paloma Estates. Located in the Catalina Foothills. La Paloma Estates is an intimate gated community of 78 custom homes built around the La Paloma Golf Club. Call me Now if you'd like to see Homes for Sale in La Paloma, Tucson Arizona. Our Clients loved their new elegant home in the Catalina Foothills Estates 10 Neighborhood. Cat 10 is the only gated neighborhood of the ten Catalina Foothills Estates neighborhoods. See all Homes for Sale in the Catalina Foothills Estates Neighborhoods north of Tucson AZ. The La Paloma Golf Course in the Catalina Foothills of Tucson is one of Jack Nicklaus'earlier designs. 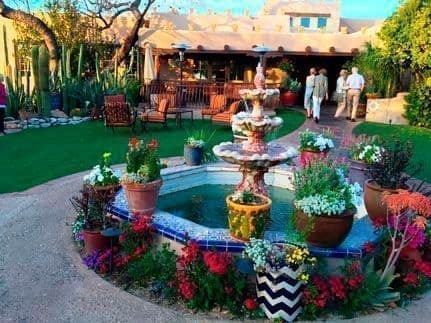 Playing at La Paloma in Tucson isn't your typical playing experience. 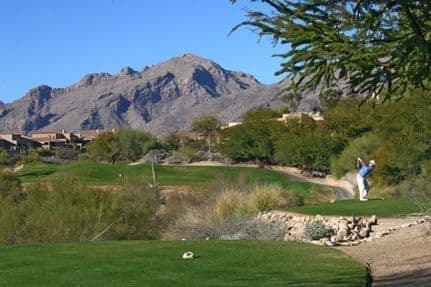 Nestled at the base of the Santa Catalina Mountains, the spectacular panoramic vistas can make you forget the challenges of this uniquely playable golf course. One of the benefits to living in the Catalina Foothills is all of the fine dining options you have. 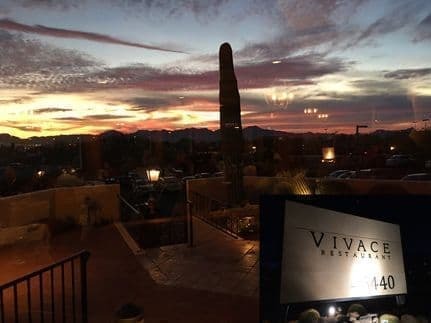 Tim & I dined at Vivace last night which is one of our favorite restaurants in Tucson and has wonderful food, service and stunning views. I highly recommend the pork chop. Hiking in Sabino Canyon at this time of year means lots of clear running water from the snow capped Mt. Lemmon in the Catalina Mountains. 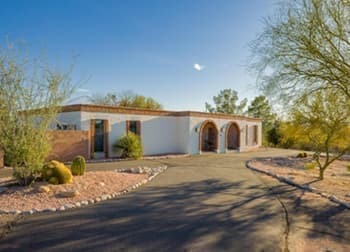 SoldCatalinaFoothills.com shows you all the Homes for Sale in Catalina Foothills, Arizona listed in the Tucson MLS from every company in town so you don't have to use other websites. 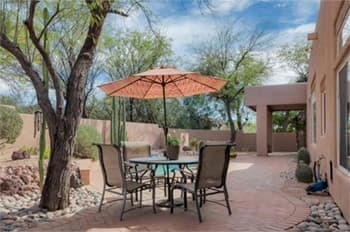 SoldCatalinaFoothills.com provides accurate and up-to-date MLS listing information from the Tucson MLS. National websites use county records for much of their information. Catalina Foothills Home Buyers get frustrated when they learn that the home they found on a national real estate website is not available because it was either sold six months ago or another Buyer found it first and made an offer on the home. A home goes through many stages during the home selling process including Active, Active Contingent, Pending and Sold. Almost all real estate websites display listings for Active Contingent and Pending homes even though they are not available to purchase unless an existing purchase contract falls through. SoldCatalinaFoothills.com displays only homes listed as "Active" in the MLS to minimize the chance that the home you fall in love with is already sold. 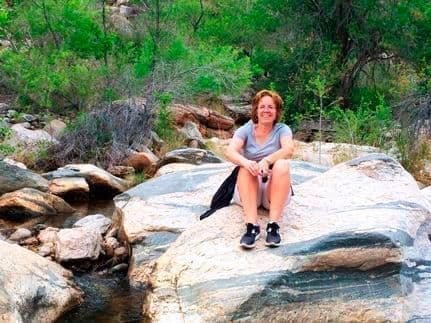 Having lived and worked in the Tucson Foothills for over a decade, we can tell you everything you want to know about living in the Catalina Foothills. Our children attended the Catalina Foothills School District Schools including Catalina Foothills High School. We have been helping Clients buy and sell Catalina Foothills AZ homes since we started our Real Estate Careers,.